Going Botanical Against Mosquitos and Bad Hair Days! No, I am not talking about growing herbs or gardening this time. It is about going "au naturel" and using only plant-derived ingredients for the products. Go take a quick look at the products you use daily and read the ingredients used in products like toothpaste, shampoo and shower gels. Chances are you will likely find a whole list of chemicals with names you can hardly read! I am a very simple person and a man of habit. I do not not buy stuff unnecessarily, and leave most of the buying decision of household items to my wife or helper. But when I was presented the chance to review some of the more "natural" products, I thought "no harm right?". 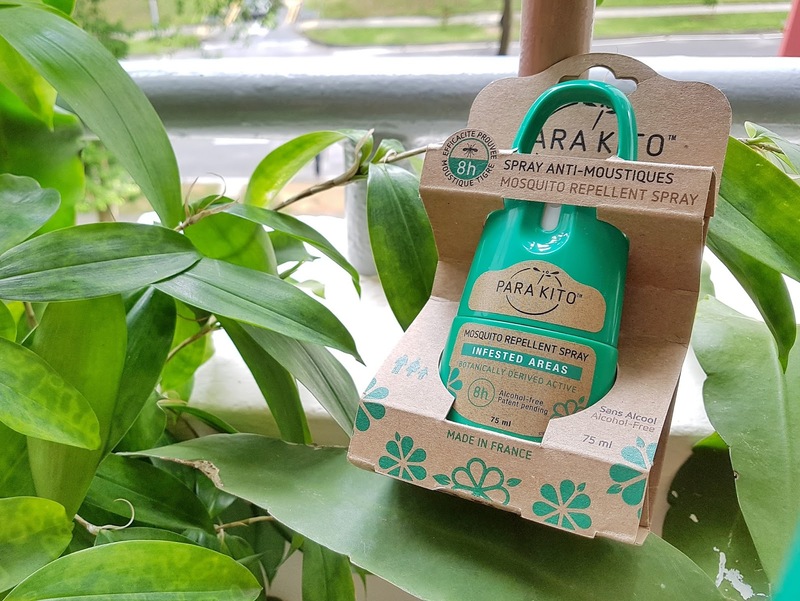 PARA’KITO™ Spray - Mosquitoes away! Within your own premise or surrounding area, we can definitely do our part in preventing the breeding of mosquitoes (check out NEA website). 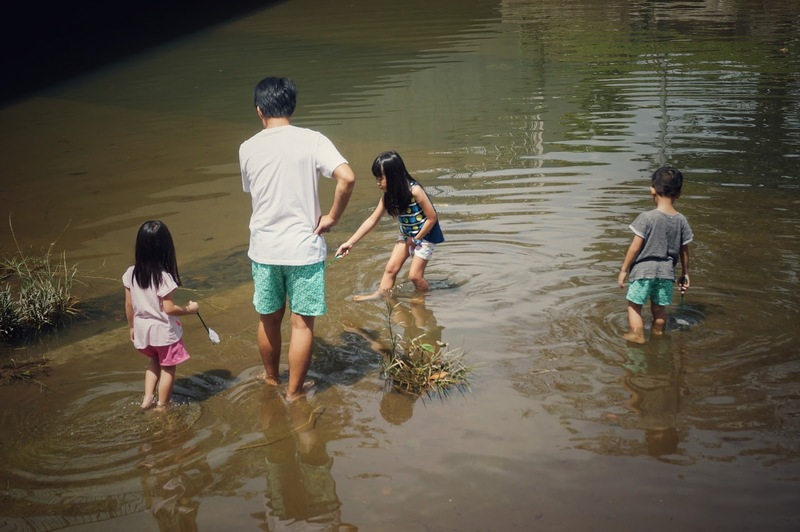 But when you are out in the open, like in the parks with the family where the chances of getting bitten is high, you will need to protect your loved ones from a host of diseases such as Dengue or Malaria that can be transmitted by mosquitoes through their bites. There are of course many choices such as patches or sprays, but if given a choice, wouldn't you want something that is botanically-derived, with no side effects and suitable even for pregnant ladies or babies 6-months up? I still remember the olden days when we had to spray insecticides into the air for the whole house and self-fumigate! I cannot imagine the amount of chemicals breathed in! I did not purposely go out to find mosquitoes to feed, but we did not get any mosquito bites (after application of the spray) as we went along with our usual activities like walks and going into drains. Pretty effective I would say, especially when a bite or two is usually expected with no protection. 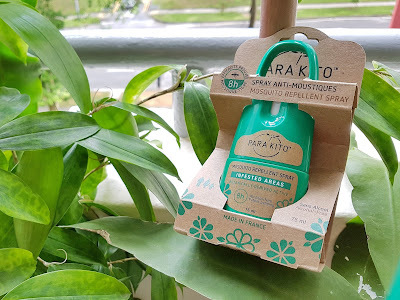 What I loved about the spray is that it is actually sweet-smelling and all the kiddos loved the scent too. Every press yielded a fine mist that covered the intended body area pretty easily and best of all, no sticky feeling which I absolutely hates! I am honest, I loved everything about the spray except for its pricing of $26.80 because I am a miser lol. But it is a small price to pay for a peace of mind for the whole family I guess. You can also check out the full range of mosquito-repelling products here. 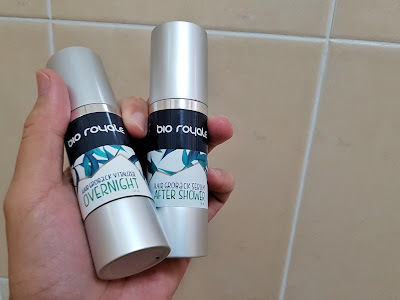 BioRoyale - Oily scalp, Dandruff and Hair Fall no more! I already said I am no vainpot, but there are indeed times I got a little embarrassed because of the white flakes of dandruff on my shoulders. I will try to sweep them off and hide! Then I read about the method of not washing the hair on a daily basis and tried that, but it led to the overproduction of oil, making my hair look limp and greasy. Using too much of over the counter shampoo also caused the hair to be too dry! But having said all that, I am still easy-going and use whatever is available in the bathroom. Then I got to try out the BioRoyale range of haircare product which consisted of the shampoo. conditioner, serum and vitalizer. For someone who couldn't be bothered about taking care of the hair, this is really quite a lot of stuff to remember to use! Oh, in case you do not know, BioRoyale is made in Singapore and uses only natural ingredients! The regular use of the products is supposed to strengthen the hair, reduce / prevent hair loss, promote healthy scalp and reduce flaking / scaling! Sure sounds good! I had used the products for a couple of weeks now. 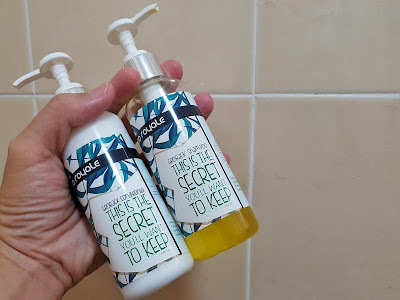 When I used only the shampoo for the first time, I felt that it thoroughly cleanses the hair and scalp but it also left the hair a little too dry. However when coupled with the conditioner and serums, the hair definitely felt so much more revitalized! I see a great improvement in my dandruff situation, without having to put up with all the chemicals (in over the counter shampoos) too! As I wash and massage the shampoo onto my scalp, I also noticed much lesser hair strands that fall off! Hair loss prevention and promotion hair regrowth would require patience and dedication in hair care regime but the effects for me so far looks promising. A full set of full-sized products will set you back by $150, but you can also try out the starter kit at $50 here.